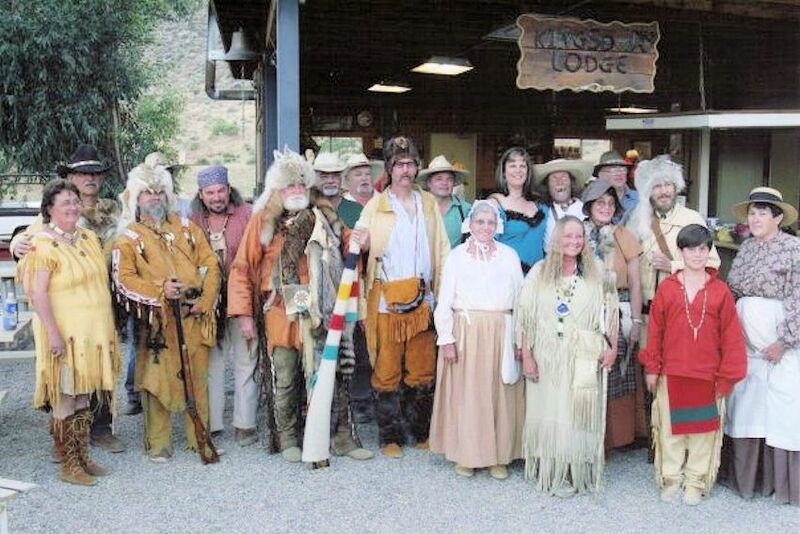 The Annual Anasazi Free Trappers Rendezvous will be held at the Stone Cliff Canyon Camp, April 25-26, 2019. The rendezvous site is 120 acres at approximately 5000 feet elevation and is located at the base of the pristine Pine Valley Mountains in Southern Utah. Nestled among the piñon pines and juniper/cedar trees, the site has a panoramic view of the mountains and easy access to the site from a main highway. With the weather in Southern Utah perfect for a fantastic spring Rendezvous, everyone is invited to join the Anasazi Free Trappers. Expect warm days and cool to cold nights. Buckskins are worn during the day, with capotes, campfires and lodge stoves a must at night. The backdrop for the Rendezvous includes the beauty of snow on the mountain with the majestic red and purple mountains that surround the site. The Shoot ranges will test even the seasoned shooter, the Primitive Archery and Knife & Hawk events are unsurpassed anywhere in the West. Make our Rendezvous your spring getaway! Just a mile back down the highway to the south lies Baker Reservoir, which gives our Trapping Party and friends another great outdoor option: FISH! Bring your tackle and eat fish for dinner for a change! The Reservoir has native German Browns as well as Rainbow Trout. There are a small number of Forest Service “tin-tee-pee” sites there as well; these are first come first served. Period of Dress is Pre-1840 (encouraged but not required in TinTeePee). Site access: The Anasazi Free Trappers Rendezvous is located about 1/2 mile off main highway – Utah State Hwy 18 – accessible over a good dirt road. There is a choice of Primitive or Tin-Tee-Pee camp areas; a Horse Camp is also available. It is a dry camp with firewood available; burn barrels or above-ground fires only unless exception approved (Primitive only). Primitive campers: please park and walk through to find your camp area; this will eliminate vehicle congestion in the primitive areas. There is a 1 hour camp unloading time from Thursday on. If you come early please do not leave your vehicles in the primitive areas after set up. We want to keep a Rendezvous atmosphere at all times. Rifle Walk Thru, Pistol Walk Thru, Shotgun Shoot, Smoothbore, Silhouette Shoot, Rabbit Run, Primitive Archery, Knife & Hawk, Atlatl, Lance, Kids Games, Children’s “just for fun” Archery, Children’s “competition” Archery (Children’s long bows only), Candy Cannon, and other events. Seminars from Buckskinners are encouraged and welcomed for Thursday. Contact (Teresa Loris- after 2:00 pm at 435-574-0680) before Rondy. 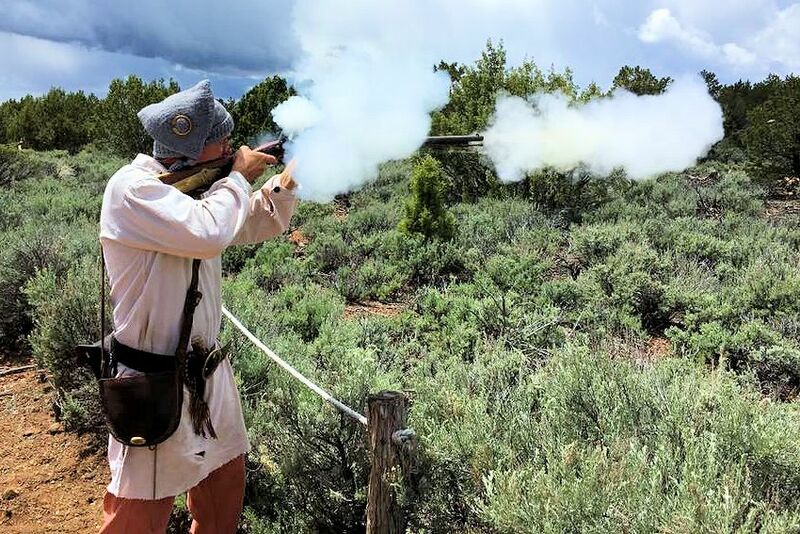 Mark your calendar today so you don’t miss the next Anasazi Free Trappers Rendezvous on the last weekend of April (Thursday – Sunday) in Southern Utah.